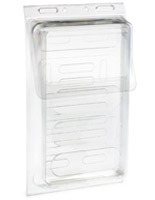 Hinged lid protects contents from weather conditions. 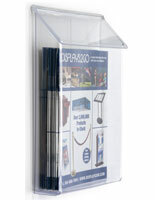 Versatile wall mounted unit includes all needed hardware for either tape or anchor mounting. 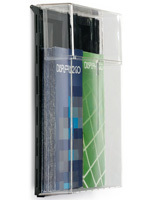 Clear polycarbonate front provides visibility and black polycarbonate backer enhances contrast. 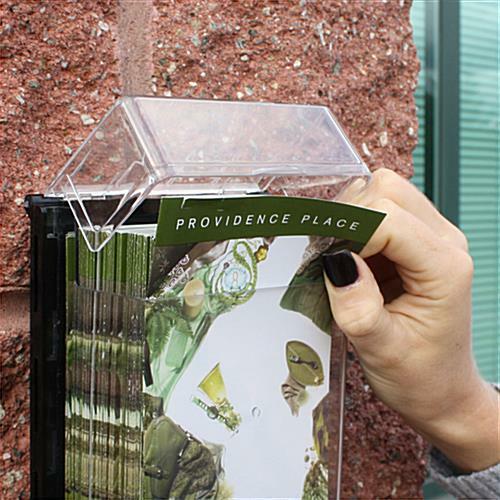 This outdoor acrylic pamphlet box is designed to safely profect flyers, leaflets and other literature from moisture and other weather. 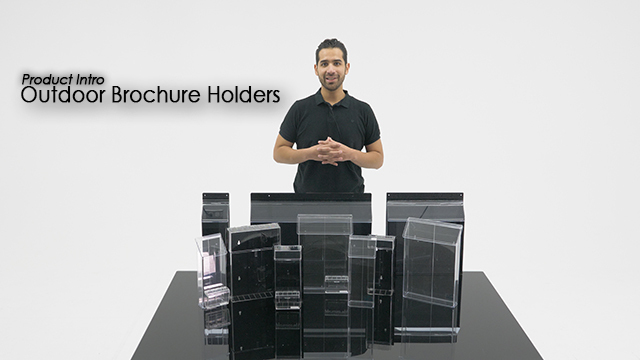 Each lightweight clear plastic wall display is made from clear polycarbonate with a heavy-duty black plastic backer and sturdy hinged lid. . 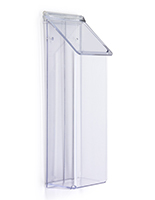 The weatherproof acrylic pamphlet box for external wall mounting comes with both anchors and double-sided tape for installation on many different surfaces. 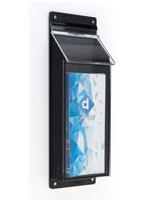 This type of literature holder resists moisture and is ideal for real estate businesses and any other commercial operation that needs customers to have outside access to take-away marketing materials. 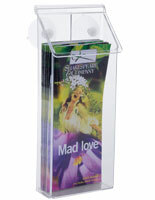 The clear lidded pamphlet box is designed to display 4" x 9" flyers or trifolds. 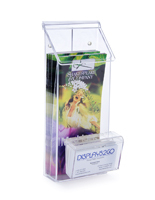 Real estate agencies, restaurants, service businesses and more will appreciate this easy-to-install fixture's convenience in presenting and protecting collateral and sales literature. 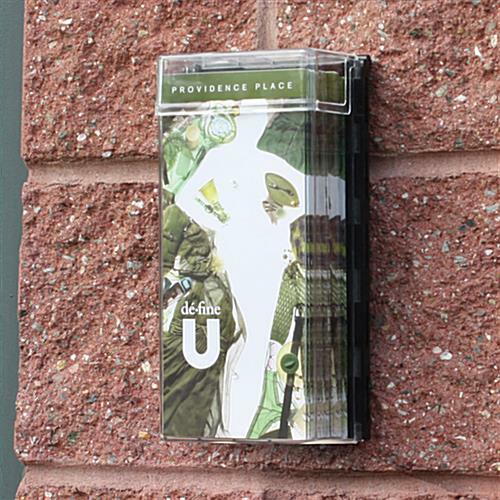 5.4" x 9.8" x 2.1"
4.3" x 9.5" x 2.0"
We use these as scorecard holders for one of our disc golf courses. They perform as expected and keep the materials inside dry in all weather conditions.